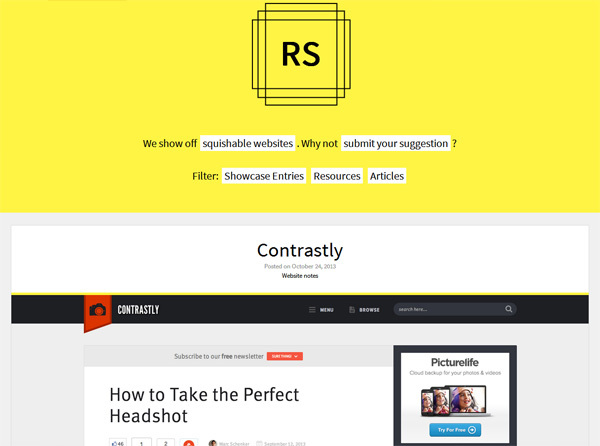 Each featured responsive design in this online gallery has descriptive text that provides a bit of background information. 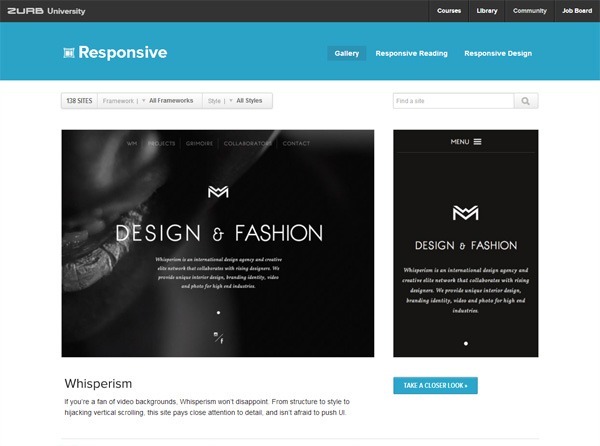 The ZURB Responsive gallery has keyword tags on each responsive site they feature, making it easier for users to find similar designs. 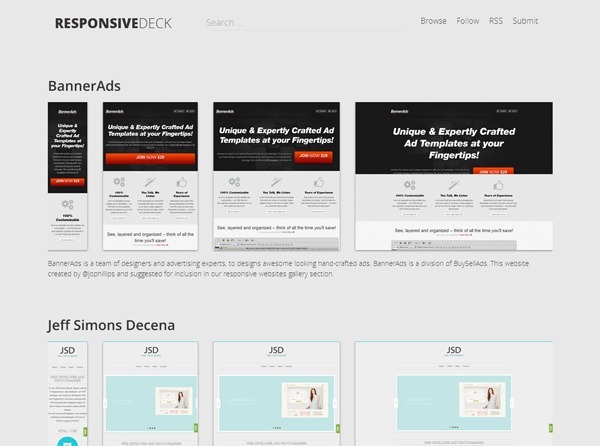 Responsive Showcase will try to tell you if a design uses some sort of responsive framework when you click on the More details link below each design. This online gallery is a single-page site and has a dense image gallery grid layout that lets you see a lot of responsive designs quickly. 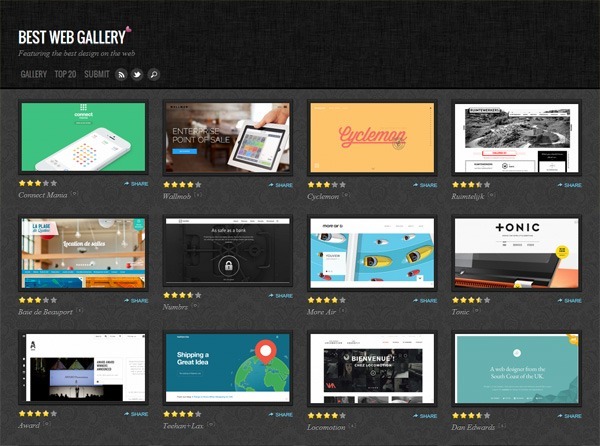 Best Web Gallery is one of the most popular web design galleries on the Internet. 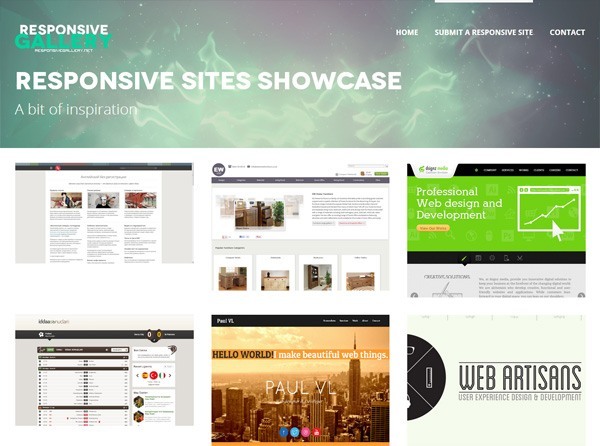 The gallery’s Responsive category only displays the best responsive sites. 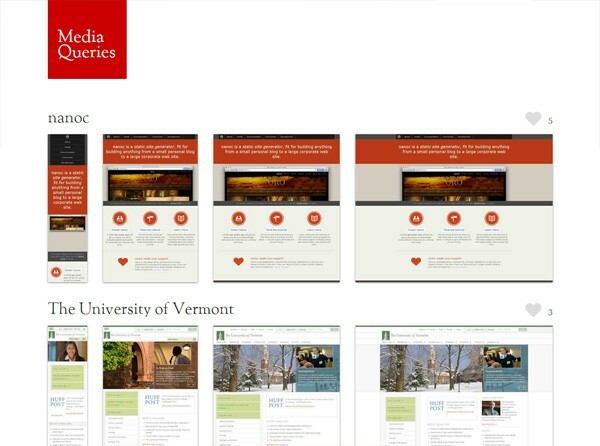 Media Queries is one of the oldest niche responsive web design galleries.